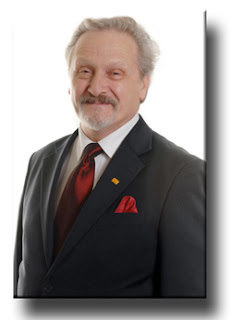 I was sad to hear that my friend and colleague George Regan will not be standing for re-election at the council elections in May. George has served the people of Dundee and the Labour Party well over the years. As well as serving on the council George has long had an interest in campaigning against nuclear weapons and the impact nuclear bombs in Japan. George has been involved in the Mayors for Peace initiative. I would like to thank George for the help he has been to me over the years and to wish him all the best for the future. I hope that George will be restored to good health in the near future. 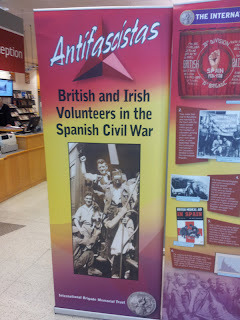 There is a really interesting small exhibition on the history of the British and Irish Volunteers in the International Brigade during the Spanish Civil War. These men made a brave stand against fascism and they deserve to be remembered. I am sorry that other commitments mean that I will not be present at the commemoration at the International Brigade Memorial in Albert Square on Saturday. The tales of the brave men and women who made a stand against Franco in the 1930s have a lesson to teach us today. We should not stand idly by and allow injustice and extremism exist. We should defend democracy at all costs. We should stand up against those who would demonise one group or other. The exhibition is on in the Central Library until the 18th of February. 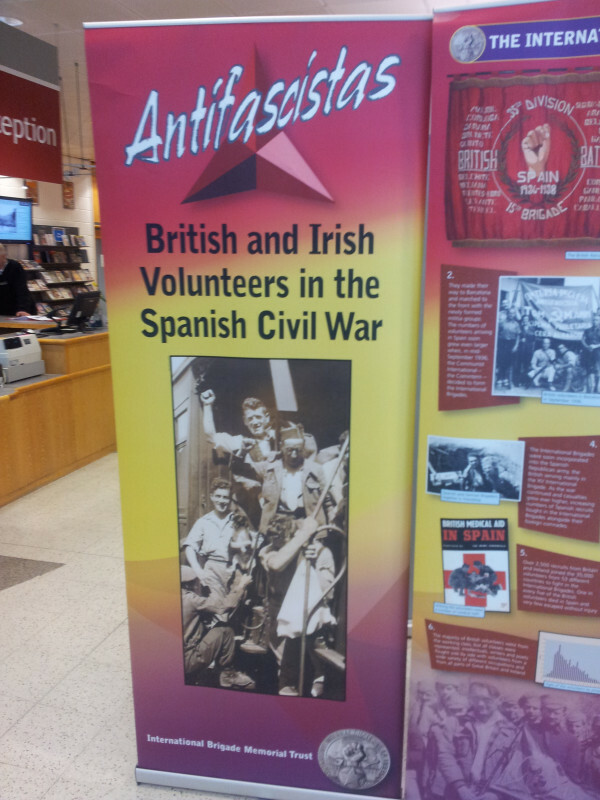 The exhibition is dedicated to the memory of International Brigade Veteran Jack Jones. I had the good fortune to meet Jack Jones briefly shortly before his death at a meeting of the International Brigade Memorial Trust in Dundee. I was also pleased to see that the exhibition has been sponsored by a number of trade unions including my own union the GMB. It is important that elected representatives effectively consult with local people and in terms of the Towards a Safer Tayside Consultation these have been a major success for the fire and rescue board in engaging thousands of Taysiders in the work of the fire service. It is clearly a very difficult balance to take on board the views of members of the public and also take on board the views of officers. Councillors need to consider these situations very carefully.